It used to be Lambeth’s Workhouse in Victorian times (Charlie Chaplin was a former resident), then a maternity ward when the NHS bought it. 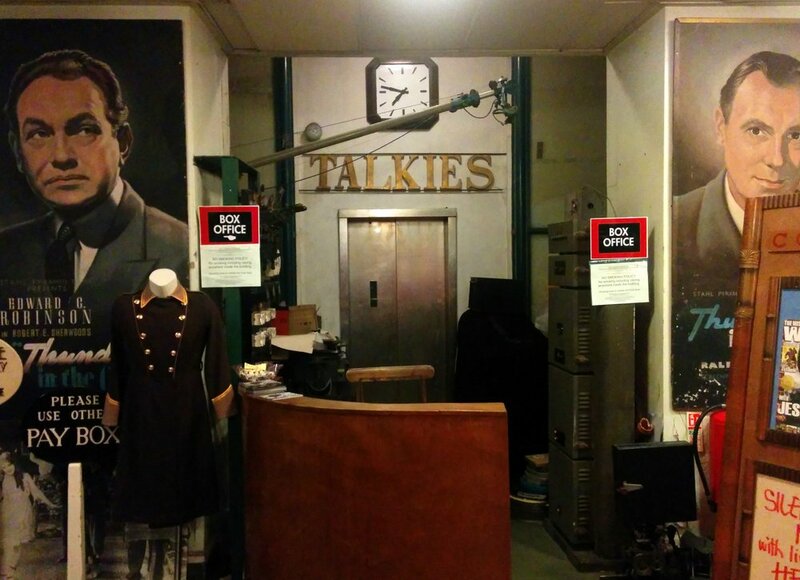 Today it is the home of London’s Cinema Museum. Ronald Grant – co-founder of the Museum – started collecting film memorabilia in 1950s Aberdeen, where he worked as an apprentice projectionist with Aberdeen Picture Palaces. What began as a personal collection soon grew into a extensive archive, including art-deco interior and architectural features and signage rescued from demolished cinemas in the 60s and 70s. 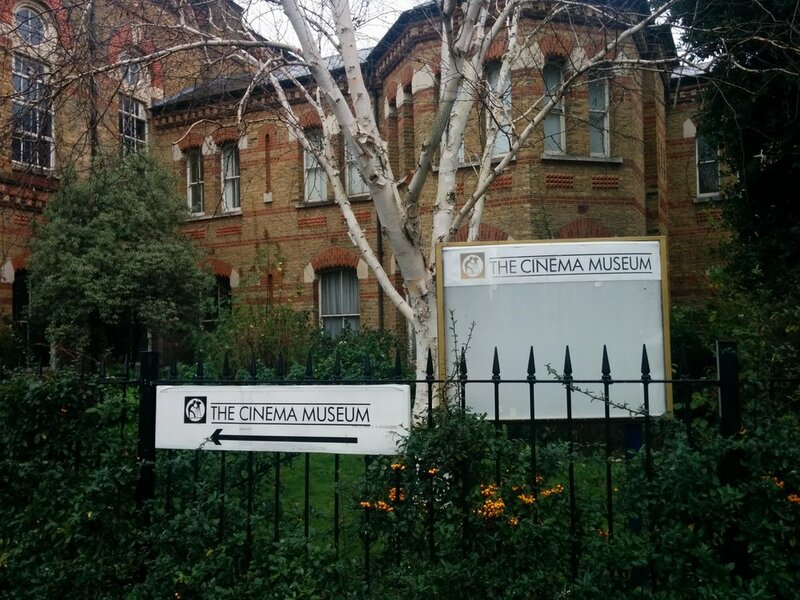 In 1986 Grant established the Cinema Museum with Martin Humphries. The Museum moved from Raleigh Hall, Brixton, to its current location at the Workhouse in the 1990s. 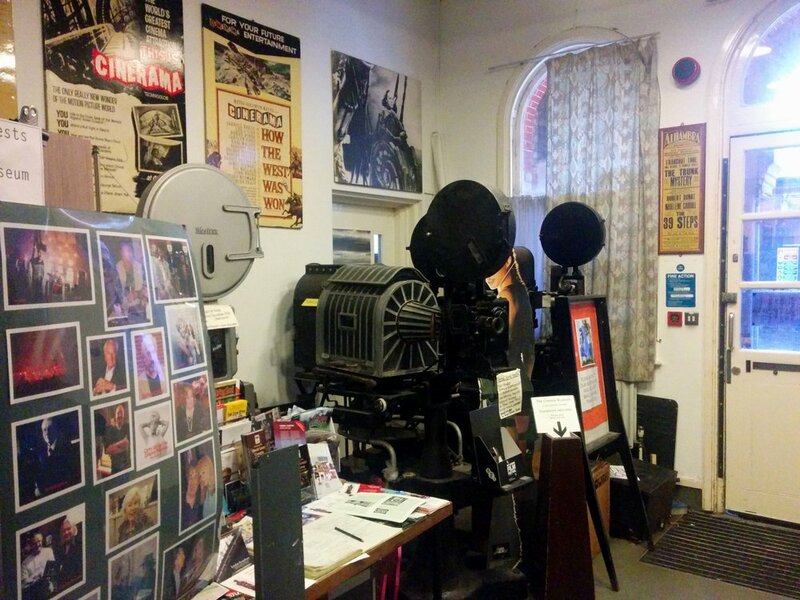 The Museum has many examples of cinema related equipment (projectors etc), magazines and trade brochures, artefacts from cinemas’ interiors (including the fragrance used to mask the smell of smoke! 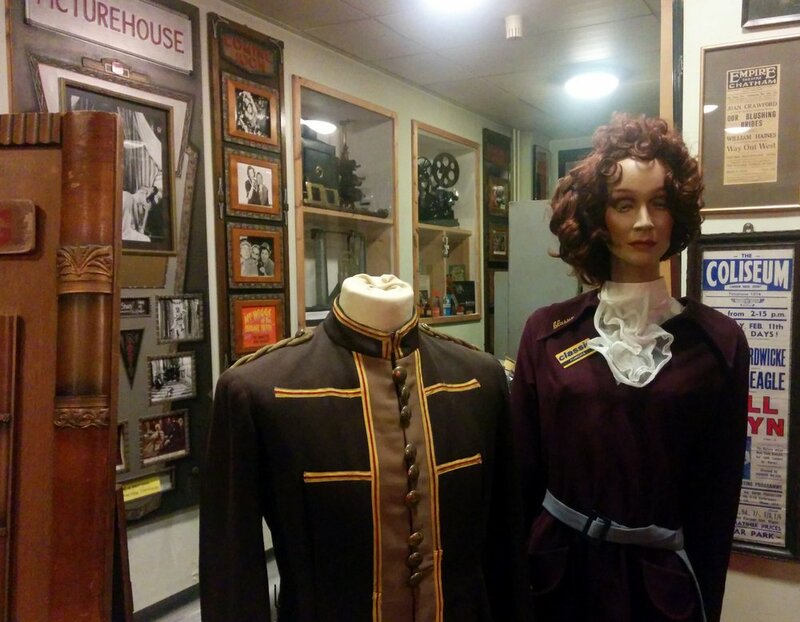 ), uniforms worn by cinema staff, film reels* and an extensive archive of cinema and film publicity materials from the 1890s to the present day. 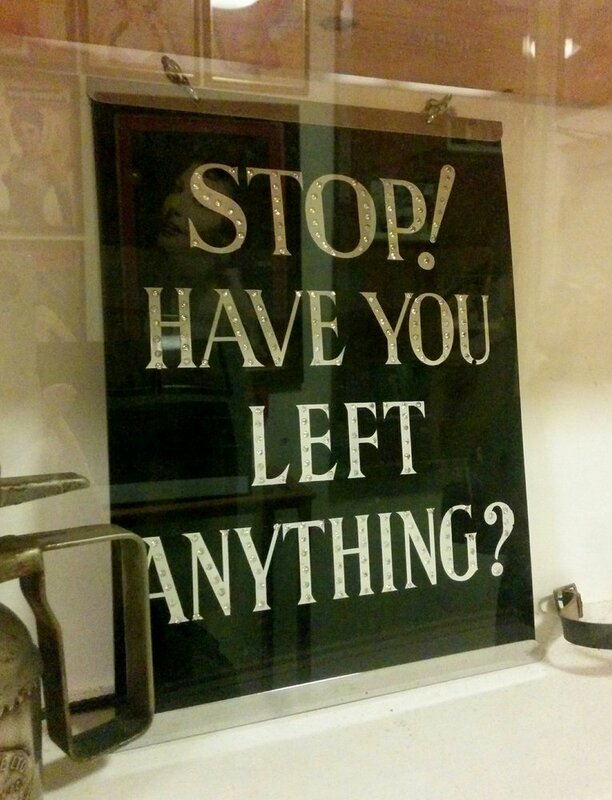 The Museum is open to the public (by appointment) and regularly puts on film related talks and events. *In 1997 the Cinema Museum was awarded the Haghefilm prize at the Pordenone silent film festival for the restoration of a group of fiction films from the Blackburn-based Mitchell & Kenyon company, dating from 1899-1906.